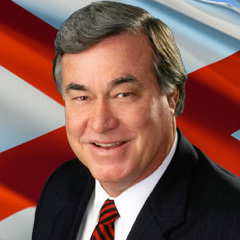 Steve Flowers column, “Inside the Statehouse”, is Alabama’s leading political column. His column is published in 72 Alabama newspapers weekly and has a circulation approaching 400,000. Having served 16 years in the Alabama State Legislature, Steve brings a unique perspective to Alabama politics. Steve’s column covers the state political scene each week in an entertaining and informative fashion. His column also takes its readers down “Memory Lane” with Alabama’s rich and colorful political history.